Every night, some 800 million people – one in nine people on earth – go to bed hungry. And projections suggest that unless creative solutions are found, the world will need to increase food production by an additional 50% in the next 30 years, when the planet’s population is expected to exceed 9 billion. 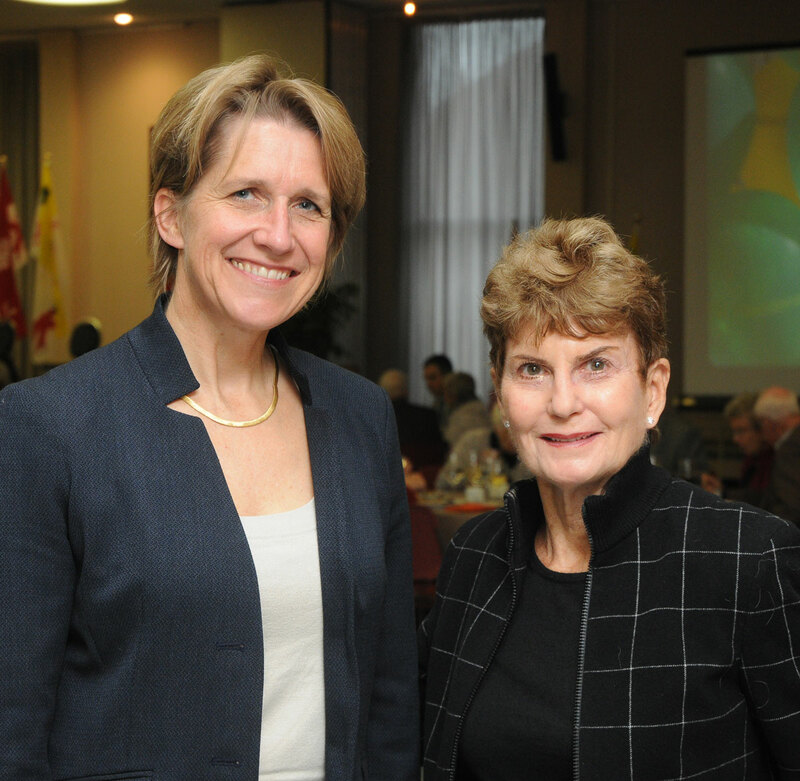 At a special announcement today on McGill University’s Macdonald Campus, researchers affiliated with the University’s Institute for Global Food Security revealed that our prospects now seem somewhat more encouraging, thanks to a landmark gift of $5 million from McGill alumna Margaret A. Gilliam, BSc’59 [pictured at right with Dean Anja Geitmann]. The donation – the largest ever to McGill from a graduate residing in New York – will help the campus’s professors, researchers and growing contingent of graduate students in their ongoing efforts to understand the root causes of hunger and malnutrition, and develop novel solutions to eradicate food insecurity around the world. The University also announced that, as a token of appreciation, it will be naming the Institute in Margaret Gilliam’s honour. In addition to creating an endowment to support the Institute’s long-term growth and stability, Gilliam’s gift will fund a Graduate Student Fund that will provide bursaries, internships, and field studies support to students. It will also fund a Consultancy Hub in Global Food Security that will allow the Institute to expand its outreach by developing and attracting working partnerships with other world-class institutions, and becoming an important participant in policy-making. Established in 2010 and based at McGill’s Faculty of Agricultural and Environmental Sciences, the Institute for Global Food Security is widely recognized as Canada’s leading centre for research, education, knowledge dissemination and specialized initiatives related to food, agriculture, nutrition and water in a global context. The Institute’s scientists are taking concrete steps to ensure that the world’s populations have secure access to sufficient, safe and nutritious food supplies. They have developed precise methods to measure food insecurity, which have been adopted by the United Nations Food and Agriculture Organization (FAO). Through collaborative research projects around the globe, McGill researchers are tackling issues ranging from developing nutritious potato varieties in Colombia, to building capacity for sustainable livelihoods and health in Ghana. Born in Ottawa, Gilliam spent her formative years in various parts of Canada, including rural British Columbia, where her family operated a sheep farm. After studying Science at McGill, she earned a degree from the Harvard-Radcliffe Program in Business Administration and then embarked on a successful career in New York as a retail strategist and consultant. This gift brings Gilliam’s lifetime support to the Institute to $6.5 million. Her last donation, in 2012, helped establish the Margaret A. Gilliam Faculty Scholar in Global Food Security – currently held by the Institute’s director, Dr. Hugo Melgar-Quiñonez – as well as a named graduate fellowship award and a lecture series aimed at broadening public understanding of the complex issues related to global hunger.